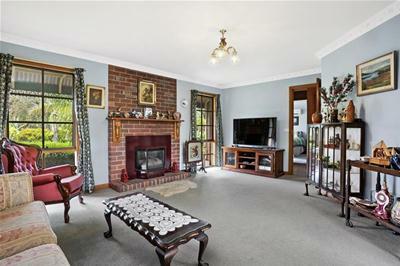 This delightful character family home has a lot to offer from the moment you enter the front yard. 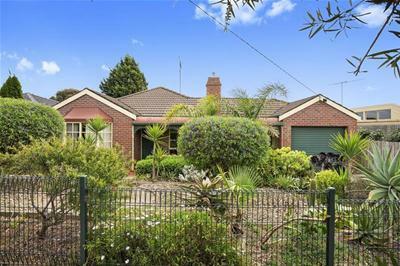 The cottage style garden sets the tone for what’s to come, showcasing features of a character home with the appealing bullnose verandah, bay window and fretwork. 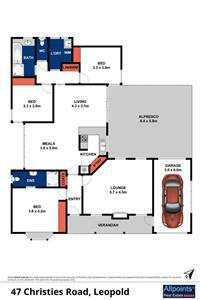 The interior is highlighted by warm tones and offers a wonderful floor plan. 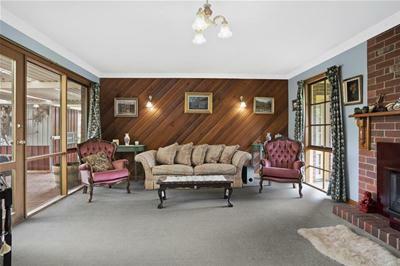 The welcoming lounge room provides a brick feature wall with a timber mantel, a gas log fire, a Cedar feature wall and decorative cornices. 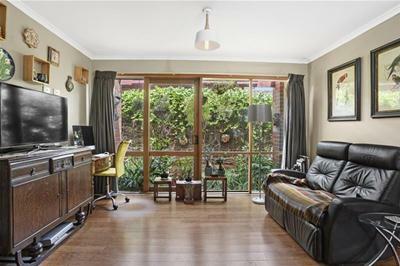 This is really a space you will enjoy after a busy day or on a relaxing Sunday afternoon. 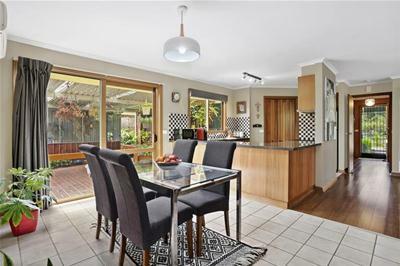 The Kitchen, Meals, Family room really is the hub of the home. Bamboo timber flooring flows throughout the home and gives a sense of warmth as well as being hard wearing and easy to care for. The fully equipped kitchen offers an updated upright oven with 4 burner gas hot plates, and a corner pantry. 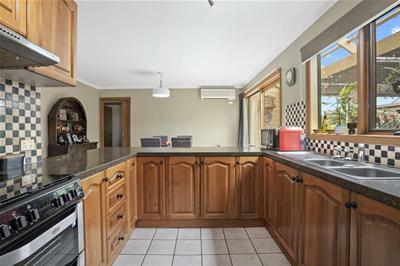 The updated stone bench tops offer plenty of bench space for the family cook or a breakfast bar. 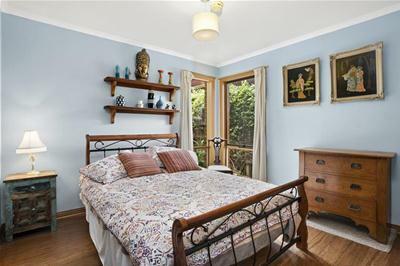 The family room is a delight with large picture windows looking out to the garden. 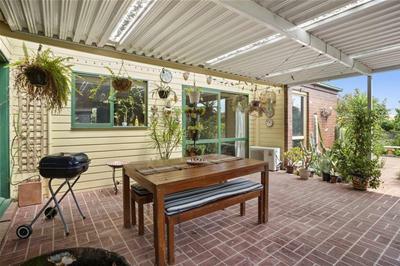 The meals area has sliding doors which lead you to the large undercover pergola. 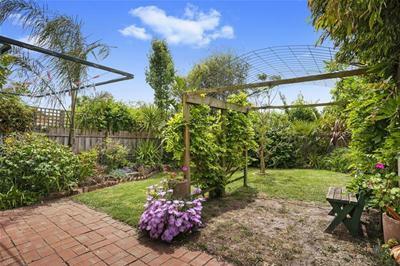 The pergola will make entertaining a pleasure with easy access to the kitchen a wonderful vista of the garden and beyond. Paved paths lead you through the fully established gardens, a lawn space, raised veggie plots, loads of fruit trees and bird aviaries. 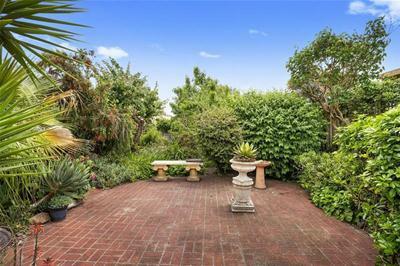 You will really appreciate this private oasis. There is a garden shed for you put all your garden tools away at the end of the day. 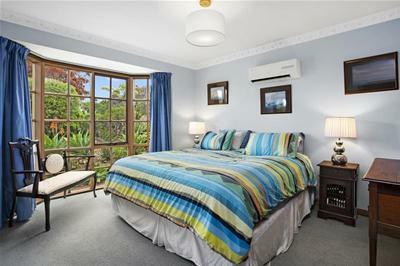 The main bedroom is located at the front of the property and has an ample of built in robes and an ensuite with the remaining two bedrooms located at the rear all serviced by a great sized family bathroom and separate toilet. The single garage with remote control roller door also has a rear door so you can drive through to the back yard for storage of a trailer or boat. 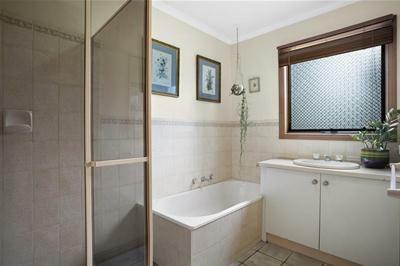 This property is a pleasure to inspect and you will be surprised by all this home has to offer. 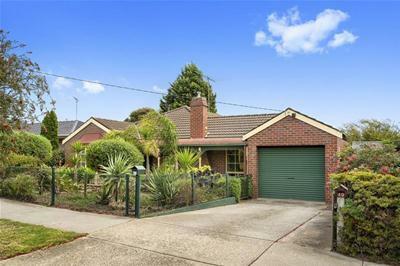 Call to arrange an inspection today.